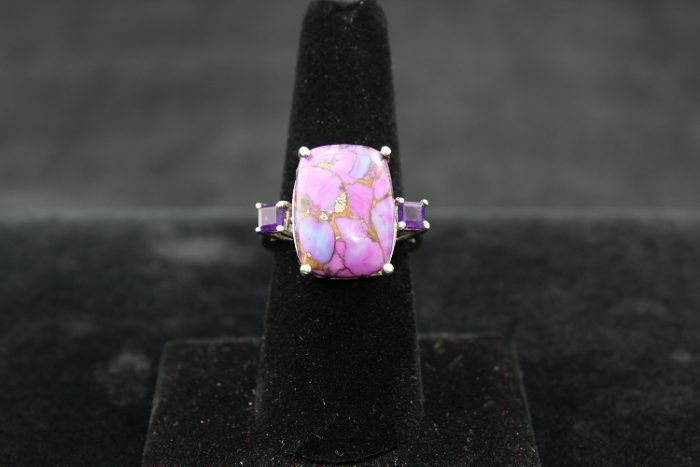 This beautiful Purple Mohave Turquoise ring has a simple yet elegant design. 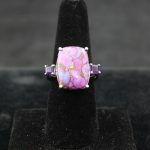 Along with the Turquoise in the center, on each side are two smaller Amethyst stones. The ring is in excellent condition.